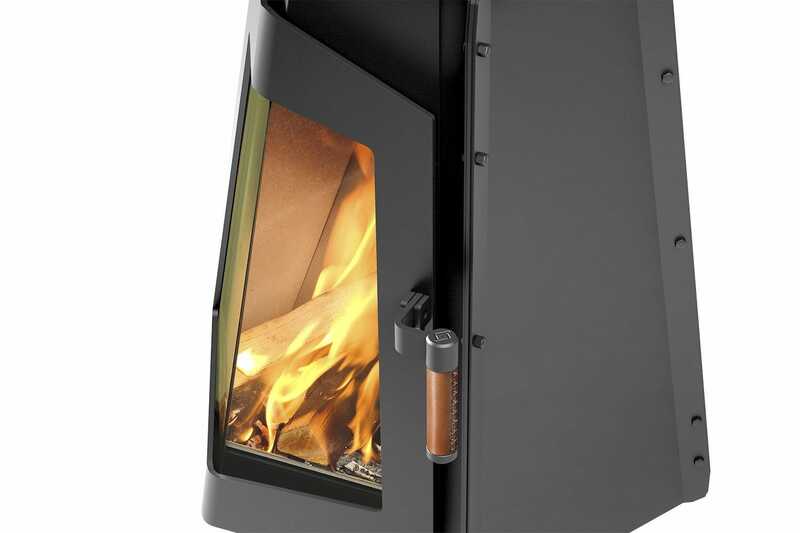 Attached to the ceiling, this stove hovers above the floor. 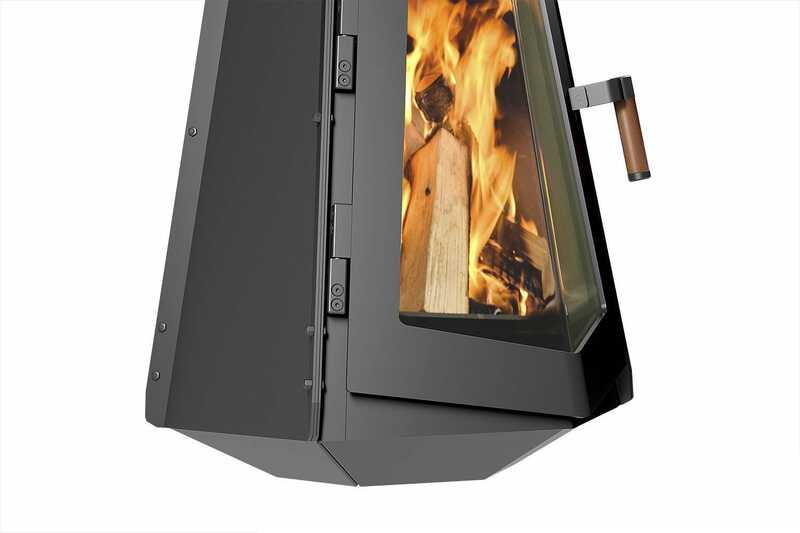 It rotates in any direction, so the fire becomes the centre of the space. 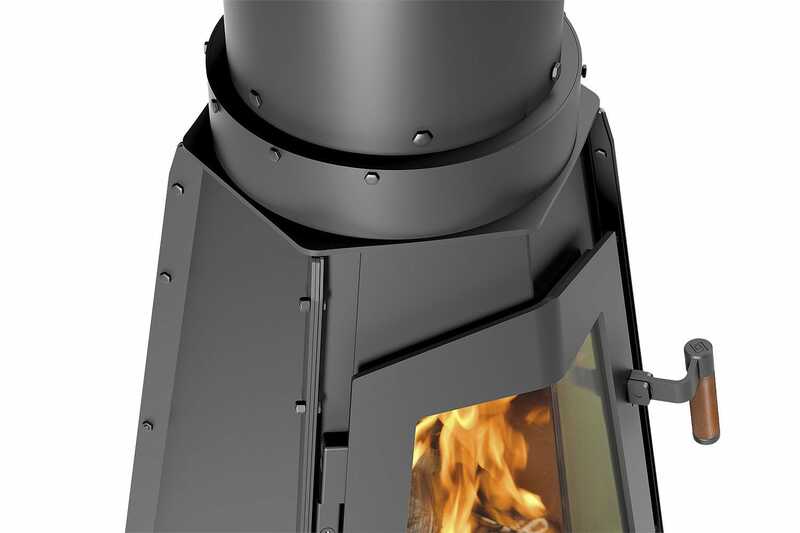 Wald can also be connected to a concentric double-walled flue to draw in a direct supply of fresh air form the outside. 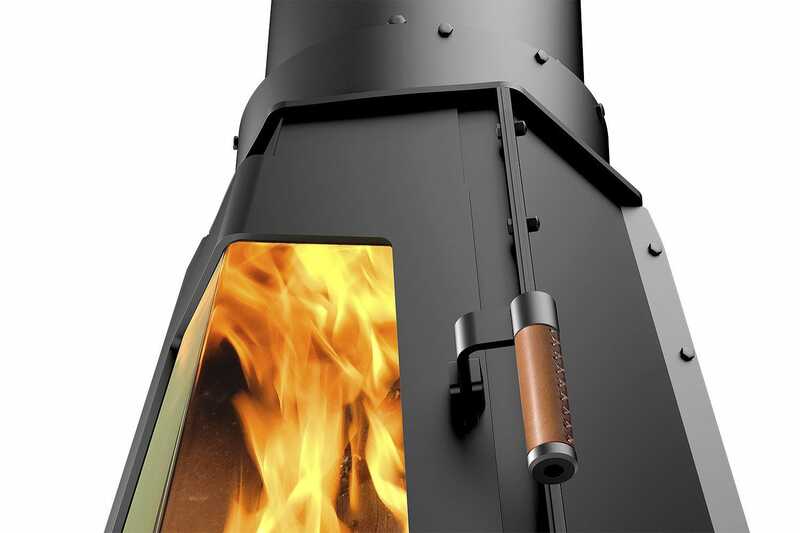 The air supply is drawn in from the outside via the flue.